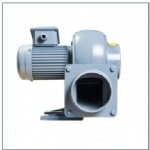 The turbo blower, a system used to produce compressed air, is directly connected to permanent magnet; synchronous motor which is operated by inverter, the product is a single stage, centrifugal type turbo blower which consists of air bearing, an impeller, a high speed motor, an inverter, a controller, and a cooling system. 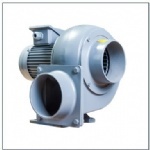 The turbo blower is a single stage- scroll type blower, efficient, low noise, energy-saving and environmental. 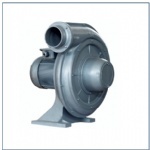 The air bearing is combining with thrust bearing and radial bearing. It uses the high-speed rotating centrifugal force to make their own suspension. this technology can be applied to high-power high-speed machinery which speed is up to 10000rpm.